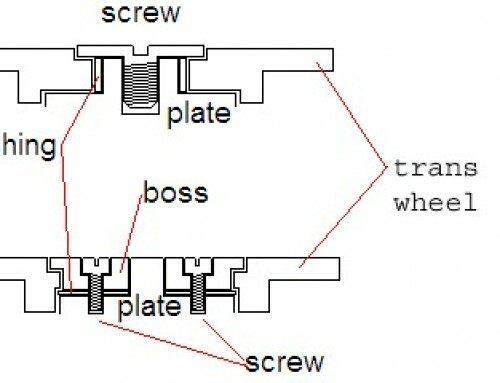 To let the mainspring down safely you must disengage the click from the crown wheel while holding the crown. First turn the crown clockwise just until the click releases and becomes free, then use a fine pointed object to hold click free from the crown wheel and let the power run down slowly using your fingers as a break on the crown to keep from releasing the power too fast. This takes some practice, if the power is released all at once damage to the barrel, wheels, pinions or mainspring could result. 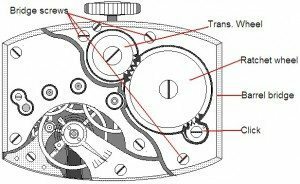 For watches with one piece cases where the movement comes out the dial side and the case has no removable back you will not be able to get at the back of the movement. For this type of watch you must grasp the crown firmly and pull it out. 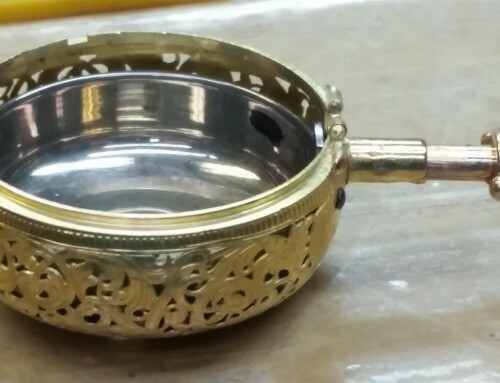 Or use plastic or soft brass tweezers to get behind the crown and pop it off. These watches have two piece stems that have male and female ends that snap together. Then remove the bezel and let the movement come out into your hands. 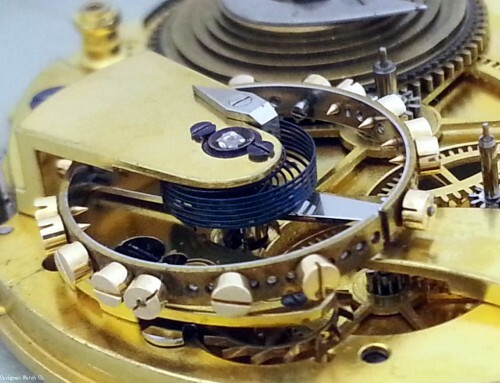 Then remove the hands and the dial and put the movement face down into a movement holder. You will then need to use a pin-vise to grip the stem and then let the power down as described above using the pin-vise like you would the crown.